Hi, my name is Dr. William Stewart. My dental practice William J. Stewart Jr. DDS has been serving the San Antonio, Texas area since 1981. Today in my San Antonio Dental Blog, I would like to highlight four ways you can improve your smile. 1. Teeth Whitening is quick and non-invasive. 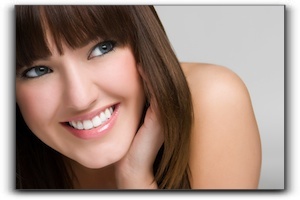 External tooth whitening occurs when teeth whitening agents bleach the teeth directly. This can be done in your home or in the office of your Shavano Park, Leon Springs, or Beorne dentist. 2. Dental Implants are another common procedure that many San Antonio residents seek. A dental implant is secured into the jawbone to replace the roots of a lost tooth. A crown is then attached to the implant to replace the missing tooth. Along with improving appearance and restoring tooth function, the dental implant does double-duty by helping to maintain the bone support. I hope this post has helped you to get better acquainted with some highly effective cosmetic dentistry treatments. A combination of procedures can be used to give San Antonio dental patients a complete smile redesign. To schedule an appointment at William J. Stewart Jr. DDS, give us a call at 210-493-3040.